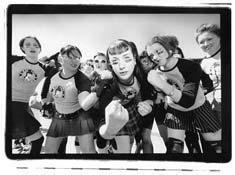 The Foun ders Club was created in 2009 to recognize the women who started this crazy thing called the Rat City Rollergirls. Through their dedication and hard work, we have moved from skating in a small rink in White Center, to selling out the KeyArena in a little over 6 years. Check out our brief history for more information. 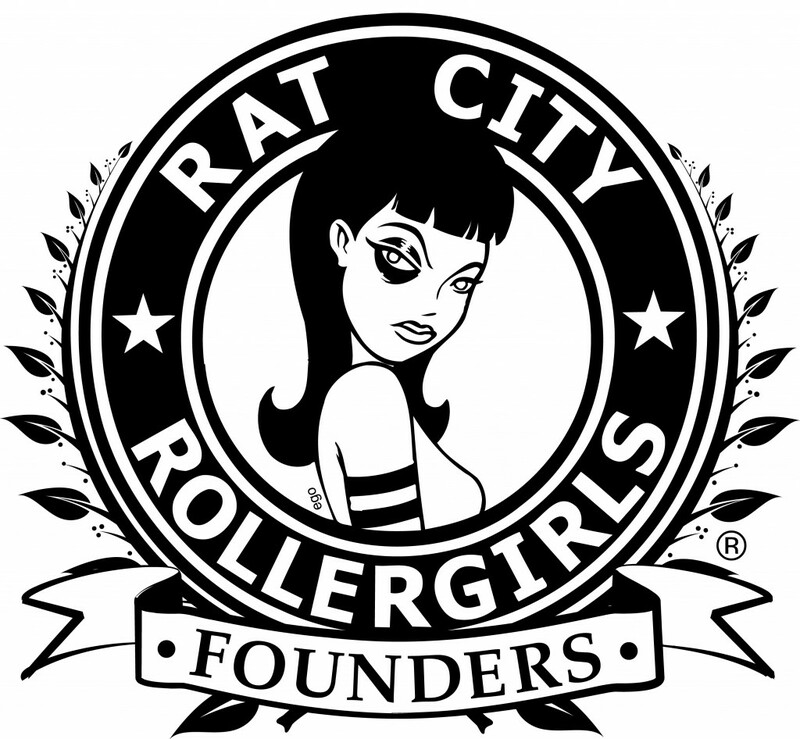 The RCRG Founders embody The Rat City Rollergirls history and formation – forged by time, strength and wisdom. The RCRG Founders stand as a base to share and pass down knowledge. Having walked down the intricate paths of being active skaters and coming out the other side willing to impart our wisdom and foster goodwill to skaters still on the track. The Founders logo represents this goodwill with symbolism inspired by the heraldry of Alumni Military and University organizations. The laurel leaves and olive branches symbolize peace and maturity due to the unusually long time the olive takes to grow its fruit. The vision of the Founders and Founder’s Club is to be a starting point to chronicle growing RCRG history. The Founders comprise the core group of women who built the league in White Center at Southgate Skating Rink in 2004. The Founder’s Club is the group of women embraced by the Founders for exemplary service to the league through working above and beyond the standards imposed on an active skater. Each wave of women who serve to this level is recognized for their contributions and accomplishments. The league wouldn’t be what it is today without the efforts of each years skater’s blood, sweat and tears – from that first group of Founders in the beginning to the women involved this current day. At some time in every skater’s career, she will face the tough decision of hanging up her skates. The Founder’s Club takes these Alumni under our wings and celebrates their contribution. Each year a new wave of Founder’s Club Alumni will create a growing base of knowledge for the future of RCRG. Skaters create heavy bonds during their time committed to derby. The Founders and Founder’s Club is our way of continuing to honor that bond.